Union City has always been a city of inclusion. We continue to stand united as a community of immigrants. We support each other and that is what makes our community strong and such a wonderful place to live and work. 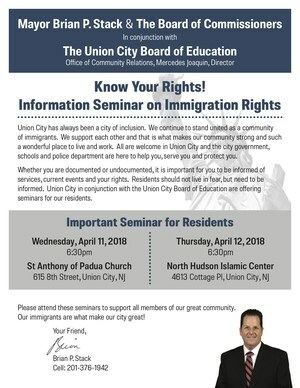 All are welcome in Union City and the city government, schools and police department are here to help you, serve you and protect you. Whether you are documented or undocumented, it is important for you to be informed of services, current events and your rights. Residents should not live in fear, but need to be informed. 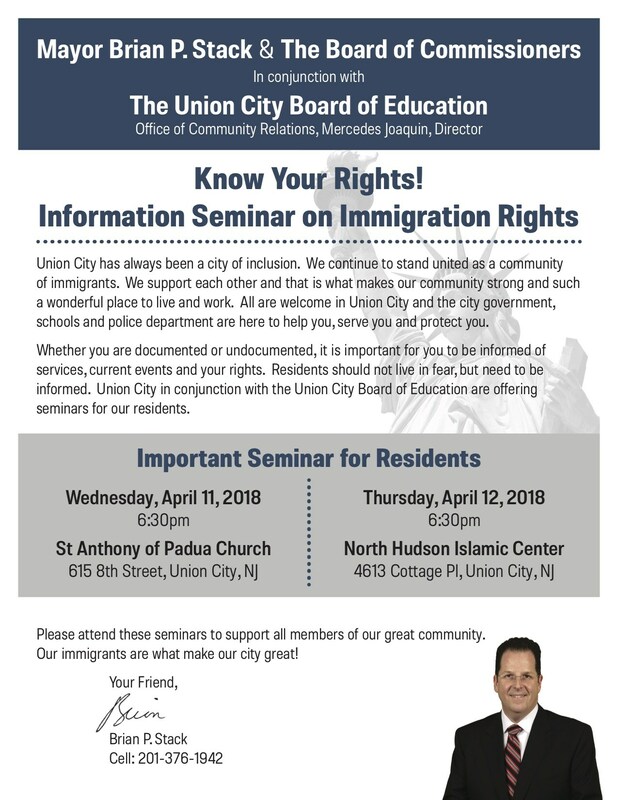 Union City in conjunction with the Union City Board of Education are offering seminars for our residents. Please attend these seminars to support all members of our great community. Our immigrants are what makes our city great!